"Why is your child so lazy? Give him enough milk?" "Why is your baby so fat, I think you are eating more than that." We hear these comments from family members and friends, and as parents, we become anxious about our little health and well being. But when you hear others commenting on your baby's weight, you probably get more upset thinking that you really have little or no food for the baby. However, your baby's ammunition can not be determined by seeing only the physical shape, so the more correct way is to take it regularly, because it will decide whether your child is growing optimally. But how long should we take this weight and how to properly weigh? 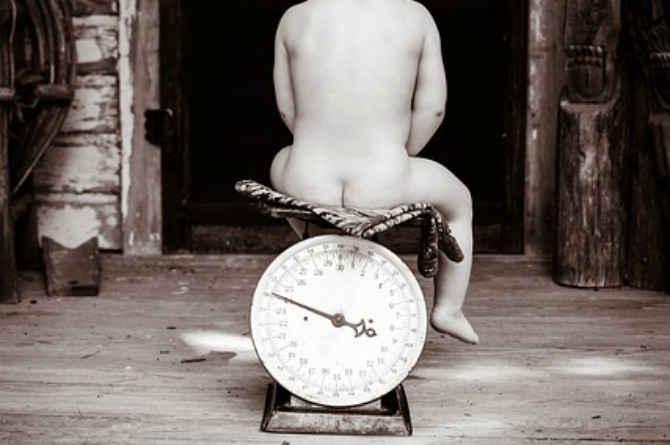 How much should a child's weight be? The Singapore General Hospital (SGH) Neonatal and Developmental Drugs Division says that healthy newborns weigh about 2.5 kg to 4.5 kg, and children weighing less than 1.5 kg are said to be weaker. According to the Women and Children's Hospital (KKH), it is a fairly simple guide to the average weight of your child on the normal course of development. How long should your baby be weighed? Do not weigh the child every day as we are unable to put ourselves in vain pressure. Depending on the amount of milk that he or she has already eaten before weight loss, a small child's weight may vary from day to day. According to the age, we should weigh it at a certain point. Your child's doctor keeps his weight in every interview, so there is no need to determine how big he is with each child's weight every morning. Children are vaccinated in the country and regular clinical trials of family clinics, polyclinics or children are also done for health check-so whenever you go there, weight gain and measurement is taken for the growth of their growth. If you do not have a doctor and want to know the weight of that month, take a time to interview the clinic , and in some places this service is provided free of charge. You have seen beautiful baby weighing machines in the clinic and thought that if you had a machine like this, you would have kept it at home and you could have your little weight when you were happy. You will be happy to know that a machine that is bought for personal use is probably the easiest way to get your child to weigh. Popular Choice: Leo-to-Baby Baby Scale ($ 68), Baby Scuba to Baby Scale Set ($ 98), Acadia Scale Digital Baby Bath ($ 198) from MotherCare. Benefits: Very accurate, convenient for you and baby. Disadvantages: Costly investments, heavy materials that take place at home. If you already have a weight instrument in your home, then this is a simple (and cost-saving) way to get your child's weight. Benefits: Free or inexpensive method, the possibility of throwing a child while weighing is less likely because of your happiness. Disadvantage: 100 percent is not perfect. A heavy child means a healthy baby? Most children born in Singapore are weighed from 2.5 to 3.5 kg and if a newborn is weighed 4 kg more then it is considered too high. Dr. Christopher Chang, owner of Chris Chong Women and Urogany Clinic at Glenagles Hospital, said that the weight of Singapore's newborn babies has increased by about 13 percent compared to the newborn 15 to 20 years ago. "Women are getting better food, nutrition and supplementary food, so their children are growing up," he explains. On the other hand, according to the SGH, the children of Sinnarka have health problems throughout their life because they are more likely to become sick due to their hypertension, type 2 diabetes, etc. Therefore, it is not surprising that parents and children are so worried about the weight of their children - when it is too thick, it is late to walk and fear of becoming obese, and being too lethargic is also a big health problem! UCLA Medical Center and Cedars-Sinai Medical Center and CBS TV's medical consultant, Dr. Jae Gordon, MD, FAAP reassured parents and mothers that if they breastfed properly in the first week of life, cleaned and diaped well, Will be there. Your child is eager to drink breastfeeding? Is not his urine clear or very hot? Is your baby's eyes bright and alert? Is her skin color healthy and natural? Does your child throw hands and feet aloud? Is his hands and feet nails growing up? Is he achieving his goal? Does your child play fun? When your child is awake, is he awake and alert in time? If you answered yes to the above questions, then ask yourself: What is the mother and father? In addition to comparing your child with average weightages according to the list, you have to keep in mind the many things that can affect his growth, such as height, bone structure, social position, pregnancy, genetics, breastfeeding formula, etc. "I do not remember any child I remember, because of the low birth weight gain from the first to the sixth week after birth, the only reason for its problem is that, at the age of two months to one year, the growth of children is at different rates. Should not be, "he said. Dr. Gordon also said that achieving your child's growing goal and sharing his or her feelings with others is more important than weight. But if you have any concerns about your small growth and development or health, then always remember to consult a professional doctor. কলিকেইড ড্রপ বনাম গ্রাইপ ওয়াটার : কোনটা শিশুদের জন্য ভালো কাজ করে?